Anorectal fistulae resultant from Crohn’s disease (CD) is a clinical challenge. The advent of immune therapy (IT) has altered the way in which fistulae have responded to treatment. Endorectal advancement flap (ERAF) is a surgical procedure that is used to treat complex fistulae. We have employed ERAF as our second stage treatment of choice in this patient population. Our aim was to determine the success of ERAF in treating perianal fistulas in patients with CD in an era of IT. Multicenter retrospective review from 2007 to 2017 of all patients with CD and a perianal fistulae who underwent ERAF. Forty-one flaps were performed in 39 patients with perianal CD with an average follow-up of 797 days. There were no significant differences in patient demographics; however, all patients who were diverted at the time of surgery had successful healing. Of patients, 73.2% were on IT at an average of 380 days prior to surgery. The duration of single-agent therapy was associated with better healing rates (p = 0.03). The overall failure rate was 19.5% (n = 8). Six patients underwent secondary techniques for fistulae closure; five were successful. In combination with the patients who did not initially fail, the overall healing rate was 92.6%. This study demonstrates several factors that may improve fistulae closure for CD patients. Patients who were diverted prior to surgery did not have a fistulae recurrence. Patients who were on IT longer prior to ERAF were more likely to achieve successful closure. 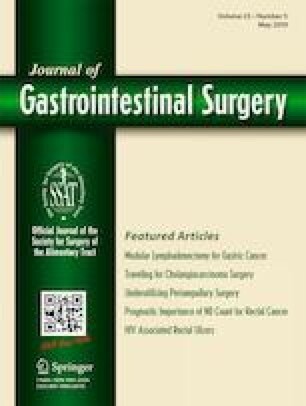 This paper was presented at the American Society of Colon and Rectal Surgeons Annual Scientific Meeting in 2018 in Nashville, TN on May 21, 2018. Michelle T. Roper: Contributions to the design of the work, acquisition, analysis and interpretation of data for the work, drafting the work and revising it critically, final approval of the version to be published and agreement to be accountable for all aspects of the work in ensuring that questions related to the accuracy or integrity of any part of the work are appropriately investigated and resolved. Stephen M. Trinidad: Contributions to the design of the work, acquisition, analysis and interpretation of data for the work, drafting the work and revising it critically, final approval of the version to be published and agreement to be accountable for all aspects of the work in ensuring that questions related to the accuracy or integrity of any part of the work are appropriately investigated and resolved. Sonia L. Ramamoorthy: Contributions to the conception and design of the work, critically revising the work, final approval of the version to be published and agreement to be accountable for all aspects of the work in ensuring that questions related to the accuracy or integrity of any part of the work are appropriately investigated and resolved. Lisa A. Parry: Contributions to the conception and design of the work, critically revising the work, final approval of the version to be published and agreement to be accountable for all aspects of the work in ensuring that questions related to the accuracy or integrity of any part of the work are appropriately investigated and resolved. Nicole E. Lopez: Contributions to the conception and design of the work, critically revising the work, final approval of the version to be published and agreement to be accountable for all aspects of the work in ensuring that questions related to the accuracy or integrity of any part of the work are appropriately investigated and resolved. Sergey Khaitov: Contributions to the conception and design of the work, critically revising the work, final approval of the version to be published and agreement to be accountable for all aspects of the work in ensuring that questions related to the accuracy or integrity of any part of the work are appropriately investigated and resolved. Randolph Steinhagen: Contributions to the conception and design of the work, critically revising the work, final approval of the version to be published and agreement to be accountable for all aspects of the work in ensuring that questions related to the accuracy or integrity of any part of the work are appropriately investigated and resolved. Samuel G. Eisenstein: Contributions to the conception and design of the work, analysis and interpretation of data for the work, critically revising the work, final approval of the version to be published and agreement to be accountable for all aspects of the work in ensuring that questions related to the accuracy or integrity of any part of the work are appropriately investigated and resolved.